In 2019 European automakers and suppliers will face the challenges of possible tariffs imposed by President Donald Trump on vehicles imported into the U.S. from Europe, as well as a weak China market and the rising popularity of car-sharing and ride-hailing services. The Stoxx 600 Automobiles & Parts Index is likely to conclude 2018 as one of the two worst-performing sectors on the region’s wider share gauge. The industry measure is in its steepest year-to-date decline since a 45 percent plunge during the global recession a decade ago. As we enter 2019, investors can’t yet see when it will get better. A rift between the U.S. and China, the world’s two biggest economies, intensified this year with highs and lows that most recently saw China taking steps to defuse trade tensions with the U.S. Beijing will remove a retaliatory 25 percent tariff on vehicles imported from America starting Jan. 1. The White House has delayed an increase in import charges on $200 billion of Chinese products that had been due at the start of 2019. Even if overall tensions with China ease, a separate investigation by the Trump administration into whether American imports of cars and auto parts pose a national-security threat still has the potential to ratchet up global commercial disputes. Potential tariffs on vehicles coming from European Union countries would mainly affect German manufacturers. Trump’s comments on EU trade have already contributed to share declines at Volkswagen, Mercedes-Benz parent Daimler and BMW. Europe’s automakers have long counted on hefty sales growth in China, the world’s largest automotive market, to sustain earnings. Now, after a sixth consecutive month of contraction in November -- with retail sales of sedans, multipurpose vehicles and sport utility vehicles sinking 18 percent -- demand there is set for the first annual decline in at least two decades. In addition to a slowing economy, the rising popularity of car-sharing and ride-hailing services is weakening the need for individuals to buy vehicles, raising concern among automakers about market dynamics in a country where they’ve invested heavily in recent years to build up production. Any sales rebound in China is likely to benefit German automakers, whose stocks are among the cheapest in their home country, said Marco Bonaviri, a Geneva-based portfolio manager at Reyl & Cie. Suppliers are having an even harder time than the original-equipment manufacturers they supply parts to. Auto-parts producers’ stocks, also including companies that focus on tires, have underperformed carmakers’ shares. Two profit warnings this year from Germany's Continental and forecast cuts at Schaeffler, its largest shareholder, and French competitor Valeo have contributed to the declines. Several analysts have seen the widening valuation gap of previous years with automakers as excessive. Others regard suppliers as structurally more attractive than OEMs, as the component makers have a sharper focus on new technologies, quicker reaction times to adapt to changes and less foreign-exchange exposure. “The valuation gap versus carmakers was a little too high, but now suppliers are seen too negatively by the market,” Pieper said. The EU’s introduction of the Worldwide harmonized Light-duty Test Procedure for emissions controls has been a major blow to the European auto industry in the last few months as its implementation slowed production. 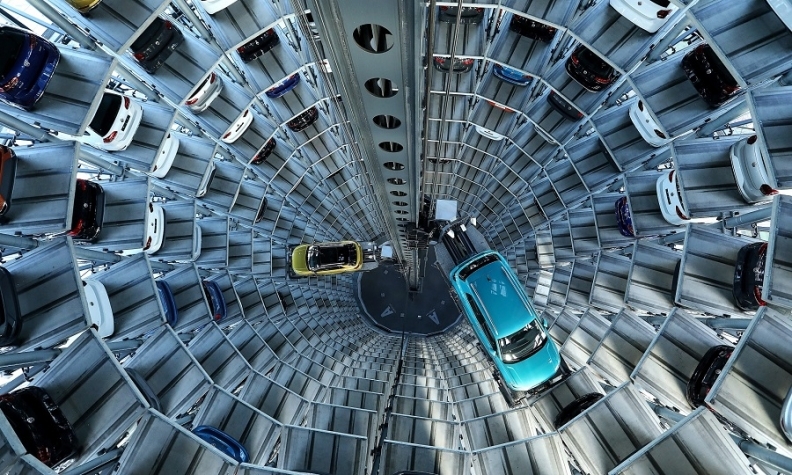 Registrations in Europe fell for the third month in a row in November, extending a negative trend following the WLTP’s rollout in September, and Daimler and BMW have cited impediments from the project in profit warnings. The good news is that the effects should dwindle in the months ahead, removing a headwind as manufacturers complete adaptations to the vehicle checks and speed up production. “The WLTP impact has almost passed, and by the second quarter of next year it should be forgotten or history,” Schwope said. Investments in wholly electric and hybrid vehicles, hydrogen-powered cars and autonomous driving are set to continue rising as countries such as China promote the use of battery-powered cars to cut pollution and reduce dependence on imported oil. The European Union provided an added push in mid-December by targeting a 38 percent cut in automotive carbon-dioxide exhaust output by 2030 from the limits set for 2021. While that’s a “tough stretch” for carmakers, “we are convinced that this will help the industry to finally accept that combustion engines and platforms need to be standardized and globalized,” Evercore ISI analysts including Arndt Ellinghorst wrote in a note. The EU’s move prompted Volkswagen Group to say the latest version of its rolling five-year investment plan, already boosted by more than 25 percent to 44 billion euros ($50 billion), probably won’t be adequate in light of the new rules. That budget projects VW Group including brands such as Audi and Porsche will have 50 full-electric models on the road by 2025, more than any other carmaker. Meanwhile, Daimler has secured more than 20 billion euros of battery-cell supplies through 2030, and targets an offering of 10 fully electric cars in the next five years that includes 10 billion euros in investments at Mercedes. BMW has outlined a planned line-up of 12 electric vehicles in the coming seven years, though hasn’t specified how much it will spend to develop the models beyond a deal for batteries. The company said in November that it’s unsure whether all the cost challenges it’s confronting in 2019 can be passed on to consumers. The size of the projects might push the two luxury-auto producers to cooperate on key components, people familiar with the matter said this week.